Ring around the RosiesA "pocket full of posies"ashes ashes we all fall down! Today's giveaway is a SUPER DUPER sweet build your own bow kind of company. Posies has been around for the past six years making little girls and their moms beautiful and happy! They provide a classic and modern approach to hair accessories. ...And the best part is that their hair products can be kept simple with one adorable bow or layered for a SUPER modern look. My PEANUT has been wearing these bows since she was born. I come up with many different ways to coordinate and accessorize the bows. I often call them "Build a Bow" because the possibilities are endless. 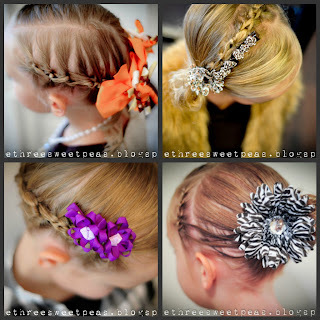 A few of the hairstyles that I have enhanced with the one and ONLY Posies Hair Accessories! 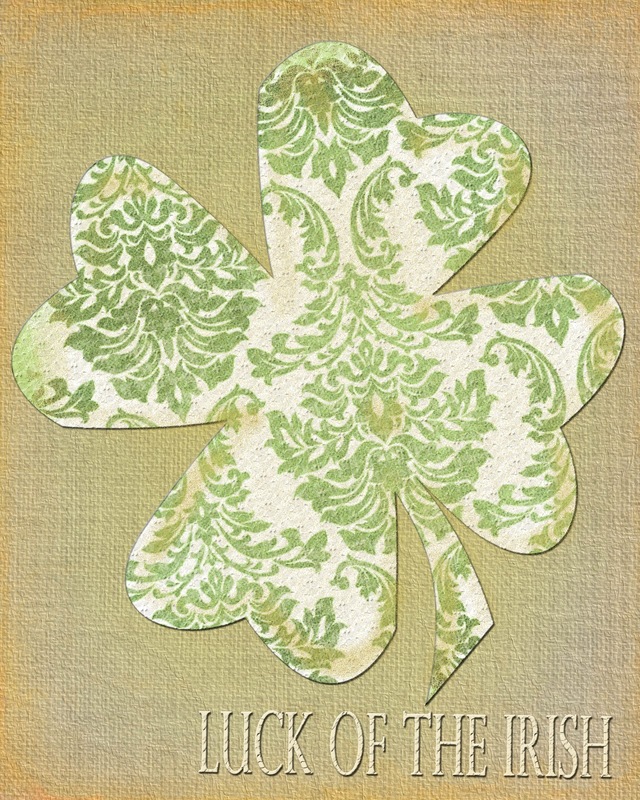 Today is your lucky day!Posies Hair Accessories is giving away a $50.00 gift certificate towards anything in their store, Posies Accessories. Do you know what you could buy for $50.00? There are only THREE requirements to enter the giveaway with a chance to EARN up to FIVE entries! 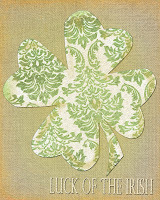 Good Luck and the winner will be announced on Thursday, January 27, 2012. I am following/like Three Sweet Peas & Posies on FB and Twitter. And I follow your blog. I love love love hair bows! I like Three Sweet peas on Facebook! So I already like Three Sweet Peas on Facebook and am a twitter follower. I also follow Posies on Facebook. I became a follower of The Three Sweet Peas! I have a 2 year old girl and am pregnant with another girl(due next month), so when I checked out Posies' site, I fell in love with everything!! Thanks for the chance! I like The Three Sweet Peas on fb! I follow The Three Sweet Peas on twitter! I am a follower of The Three Sweet Peas and I 'like' Posies on Facebook,as well as The Three Sweet Peas, and I "follow" The Three Sweet Peas on Twitter. I am following you on GFC as herblady and I am so glad that I found your site. It is delightful and refreshing! I love posies, I have purchased from them in the past for my granddaugter. They are wonderful. I am a fb fan of you and posies, follow on twitter, friend on GFC (Virginia Rowell). Great to see you here! I really like your page! I love Posies! I've bought from them before. Thanks for the chance to buy more! 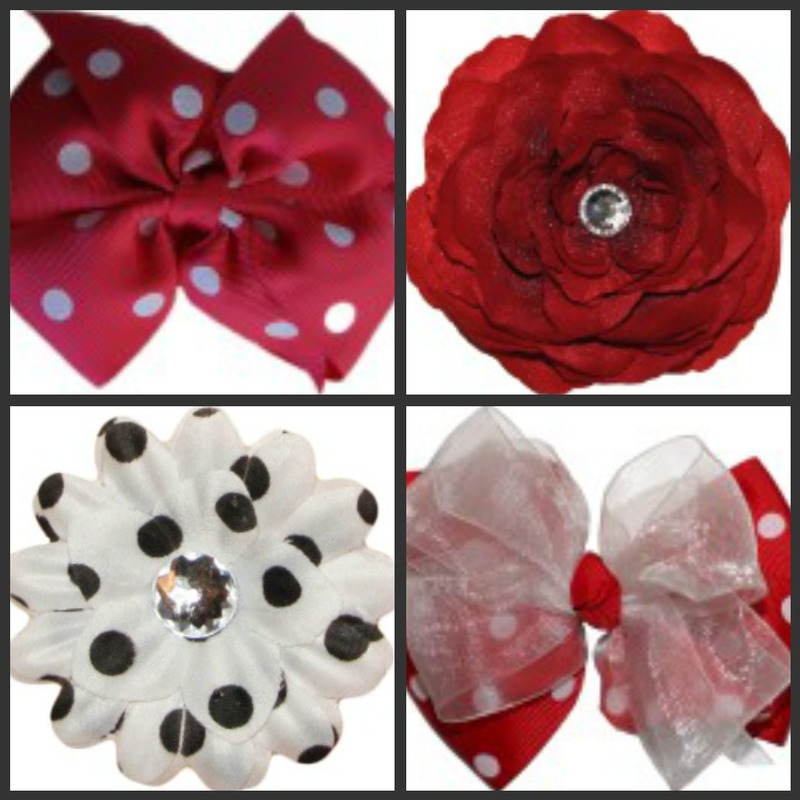 These bows are to die for!! Completely adorable!! 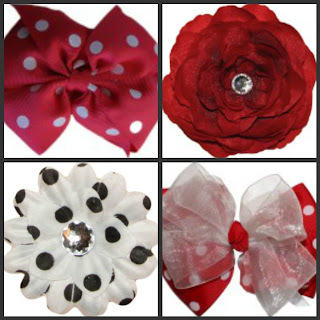 I liked Posie Accessories on Facebook!! I am following The Three Sweet Peas on twitter! I also liked The Three Sweet Peas on Facebook! I've been a follower for a while! Love your blog!